Check out the launch story and specs here. 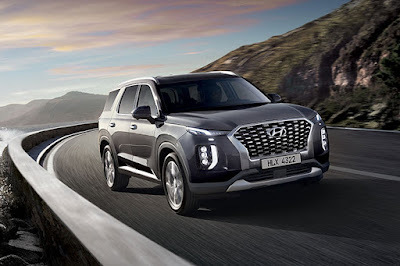 Thanks to Top Gear Philippines posting the official list of activities at the Manila International Auto Show, we now know the other Hyundai vehicle that’ll be launched: the Palisade SUV. Based on the list of official activities, Hyundai won’t be doing just one presentation, but five spread across the 4-day show. For Thursday, there’s be the Hyundai pavilion launch as well as a separate focus on the Palisade. For Friday, it’ll be the Kona; Saturday, the Reina; and Sunday, the Ioniq (clearly the Kona Electric is supposed to be a surprise). The presence of the Palisade at MIAS is quite surprising given it was launched globally just last November at the Los Angeles Auto Show. 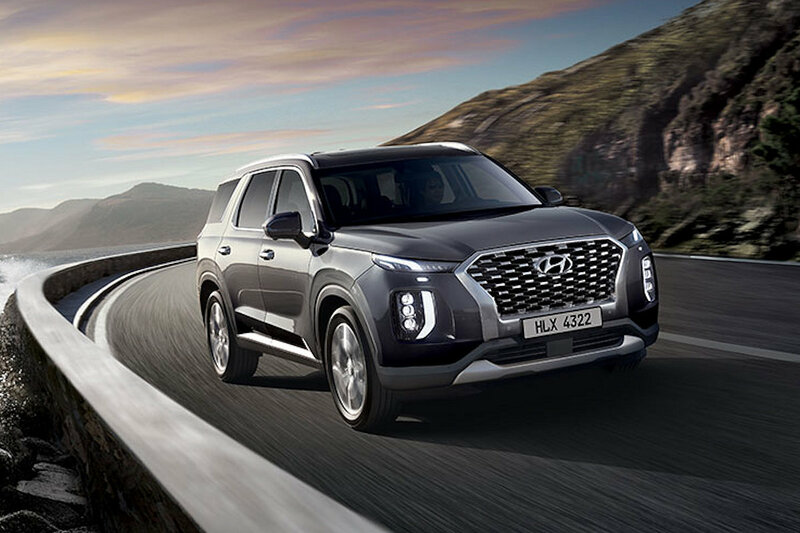 Hyundai’s biggest passenger vehicle to date, it replaces the Grand Santa Fe as the brand’s flagship SUV. Instead of simply stretching a Santa Fe, the Palisade gains a unique visual identity in order to convey a feeling of spaciousness. At the front, it has a wide cascading grille and vertically-connected (but separate) headlights. This is echoed at the back with vertically-arranged taillights while 20-inch wheels fill in the arches. Fulfilling Hyundai’s desire to move upmarket, it has premium features and amenities including quilted Nappa leather seats and wood grain paneling. The second-row operates with a one-touch mechanism offering easy access in and out of the standard third-row. For added convenience, the third-row itself features a power folding mechanism. It also boasts of USB chargers across all three rows of seats, a three-zone climate control, and many more. In the U.S., the Palisade is available with a 3.8-liter V6 gasoline engine, but for the Philippine market, it’s a safe bet that Hyundai will install the R2.2 turbo diesel engine instead. In this guise, it has 200 horsepower and 442 Nm of torque. It also features a shift-by-tire 8-speed automatic, and probably to differentiate it from the Santa Fe, Electronic All-Wheel Drive (HTRAC) with Multi-terrain Control. Meanwhile, outstanding platform stiffness provides for increased stability and smoother riding comfort. The front steering knuckles are made of aluminum while the front arms have been lightened, reducing the Palisade’s unsprung weight. It also achieves best-in-class torsional rigidity as well.